This Ain’t My First Houston Livestock Show and Rodeo! One of my favorite times of the year in Houston is the month-long rodeo celebration. What began as The Houston Fat Stock Show and Livestock Exposition in 1931 has grown into an amazing event! In 2014, over 2 million people attended the 20 days of what is now called the Houston Livestock Show and Rodeo. The Show celebrates Western Heritage, furthers education for the youth of Texas, provides good-value family entertainment, and highlights agriculture. It is difficult to articulate the impact that the Show has on Houston and the surrounding area. 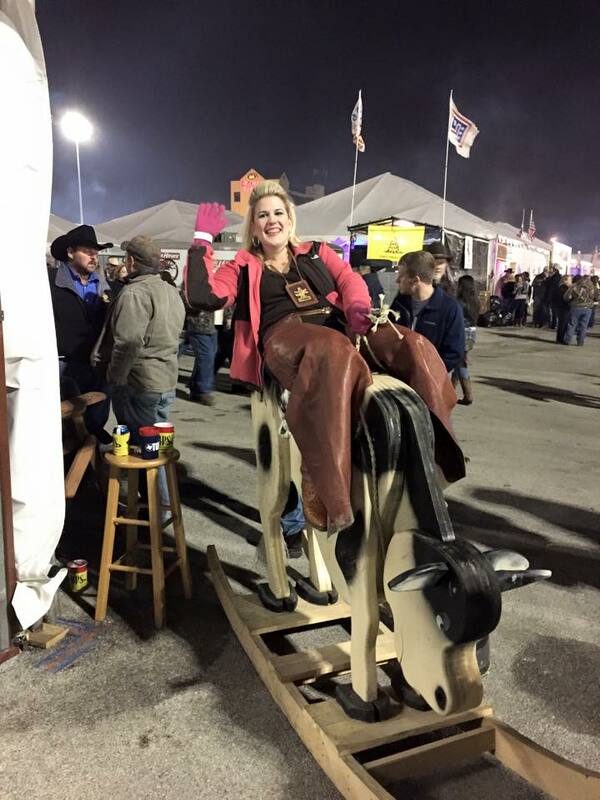 The Houston Livestock Show and Rodeo is a charity and there are over 32,000 volunteers serving on 108 committees. I feel privileged to serve on both the Auction Assistance Committee and the Wine Competition Committee. Throughout late February and March, there are many great Show events. I wanted to share a few Houston Rodeo tips and highlights to help you make the most of your time at the HLSR. The Friday before the Show begins is Go Texan Day (in 2016 – February 26), when the residents of Houston (from school children on up) dress in their finest Western attire. When I was little, I attended a private school where we wore uniforms every day, so this was a real treat. I still enjoy putting on my belt buckle and my cowboy hat and wearing my Go Texas outfit to work. At my office, we have a BBQ lunch catered. I always enjoy getting to see the city celebrate western heritage. Katherine all dressed up for Go Texan Day! 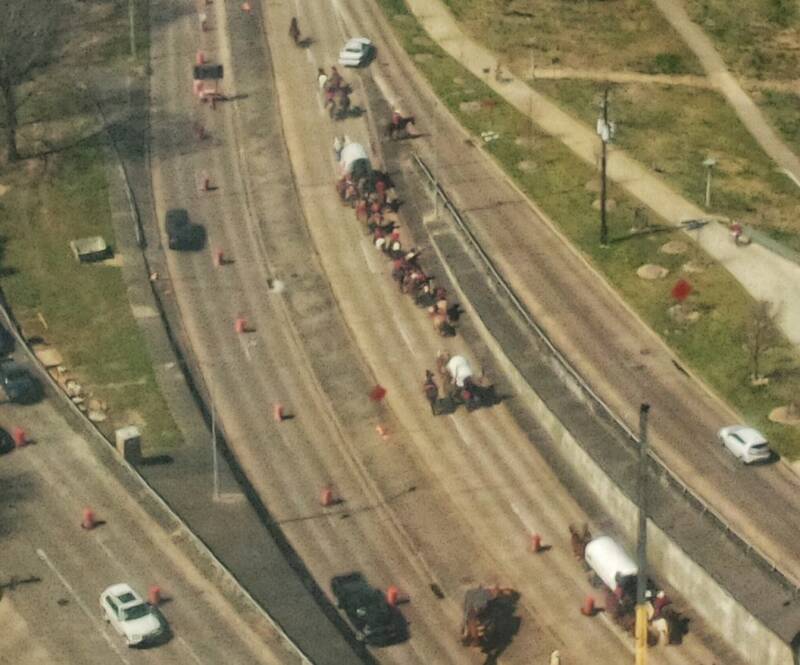 Also, on Go Texan Day, the Houston Rodeo trail riders descend on Memorial Park. 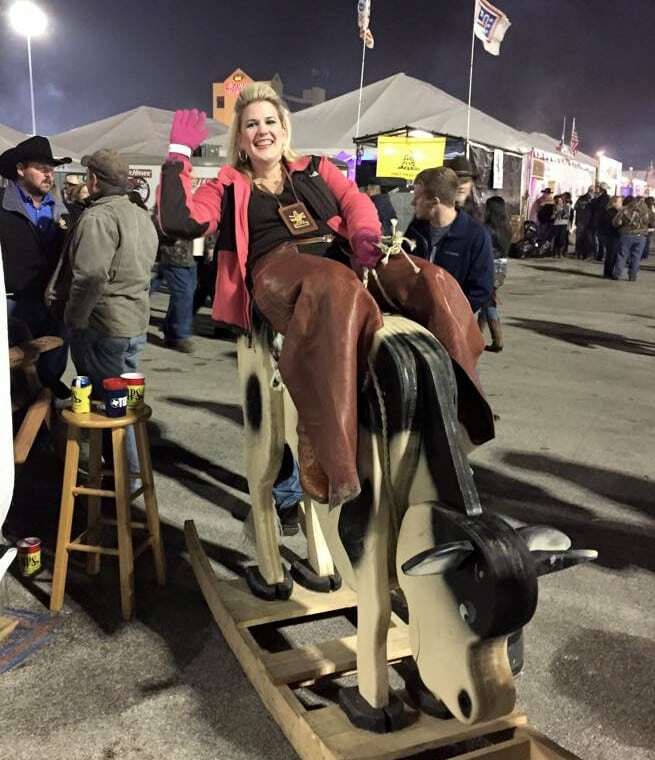 The women and men who are participating in the Houston Rodeo trail ride are honoring the past by riding into town like they would have many years ago. Many of the rides have been going on for over a week, as there are 13 trail rides coming from as far as 386 miles away! It is not unheard of to be at a stoplight and have a group of trail riders pass in front of your car. Again, I have fond memories of when I was a young cowgirl…I always wanted my mom’s car to be first in the line of cars waiting so that I had the best view of the riders and their wagons. Memorial Park is where they sleep and their staging area before the parade. On Saturday, there is the Houston rodeo parade through downtown that includes all of these trail riders. That is also quite a fun event to experience! The BBQ contest is a three day event where teams compete for awards in a Texas-style cook-off. This year there are even three international teams participating in the Houston Rodeo Cookoff! Winning an award at the BBQ is a big deal – here is a link to past winners! What makes the event so much fun is that people who are not on the teams can get tickets to the various tents and enjoy the BBQ and some (or many) adult beverages. Also, many of the tents have live music and have nicely decorated tents. These Houston Rodeo cookoff tent tickets are highly sought-after, and I am always so excited when I have tickets to a top tent. In 2013, 139,261 people attended the Saturday event – to put that into perspective – the parking lot where the BBQ is held would have been one of the top 25 cities in population in Texas on that day. That fact just boggles my mind! There are two different kinds of admission tickets to the Houston Rodeo – grounds passes and rodeo/concert tickets. HSLR Grounds Passes give you access to all events on the Rodeo grounds, except for the rodeo and concert in NRG Stadium. A rodeo and concert ticket includes the same access as a grounds pass, plus admission to the rodeo and concert inside NRG Stadium. You can purchase either a single day Grounds Pass or a Season Grounds Pass. The single-day Houston Rodeo Grounds Pass can be purchased up to 9 p.m. daily at the event. You can also buy them online sales until 8:30 p.m for that day. If you plan on visiting the Rodeo Grounds (without seeing the Rodeo) several times during the HSLR, the Season Grounds Pass is a good option. The Season Grounds Pass must be purchased at the gates. You will still have to pay extra if you want to ride the carnival rides. For tickets to the Houston Rodeo and concerts, you need to buy in advance for most performances. These tickets also give you access to the Rodeo Grounds so you do not need to buy the grounds pass too. You can also buy a season ticket for the rodeo and concerts. If the Houston Rodeo tickets are sold out, I would recommend trying the RodeoHouston Marketplace. You can feel confident that Rodeo Houston tickets resold here will be valid for entry. As you can imagine with an event of this size, parking and traffic can be an issue. Only rodeo performers and those who work (including volunteers) during the rodeo are able to get a Houston Rodeo parking pass, so you will need to allow some extra time. There are several Houston Rodeo parking lots near NRG Park where visitors can park. Some of these lots have trams and buses that will take you to the Rodeo grounds. I think the easiest way to get to the Houston Rodeo is by parking at Fanin South (located at Fannin and South Bellfort) and taking the light rail. You pay $20 to park and that includes you round trip ticket on the light rail. You can also park further away along the light rail line (fee will vary). When I was little, we did not attend the rodeo performances, but we would go to the Livestock Show. I loved getting to walk up and down the rows of animals – I am a city girl, so it was something very unique to be able to be that close to the livestock. The same animals aren’t there throughout the show, but you can go online to find out what is going on each and every day. There are Junior Market shows for exhibitors between the ages of 9 and 19 and each of these concludes with a live auction. At this time, the exhibitors must say farewell to their animals which are then taken to be slaughtered. Nightly during the week and in the afternoon on the weekends, there is a rodeo followed by a musical act. The rodeo begins with the Grand Entry and the National Anthem. This is one of my favorite parts of the rodeo as the flag is brought in by a woman (usually wearing a highly-sequined outfit) and the National Anthem is sung. Also, there is a parade of horseback riders, wagons, and firetrucks – quite a fun sight! The rodeo has seven events – one of my favorites is team roping. Two riders on horseback must work together to rope a steer. After the steer gains a head start, the first roper, known as the header, must rope the steer’s head. The roper then maneuvers so that the steer is positioned for his partner (the heeler) to lasso both of the steer’s hind legs while being careful not to catch the front legs. This is a timed event and is very fun to watch the coordinated effort of the team! I also enjoy watching bull riding. The goal in that event is for the rider to stay on the bull for eight seconds. Also, if the bull rider does not follow specific rules, his ride will be disqualified. If the rider stays on for the full eight seconds, his ride is scored. This is many people’s favorite event to watch. A listing of all the rodeo events can be found here. As they are transforming the rodeo arena into the concert stage, they have another event called Mutton Bustin’. In the Houston Rodeo Mutton Bustin’, five and six-year-old children hold onto a sheep as tightly as possible as the sheep darts across the arena. This is a cute event to watch as the children get to be miniature rodeo stars! 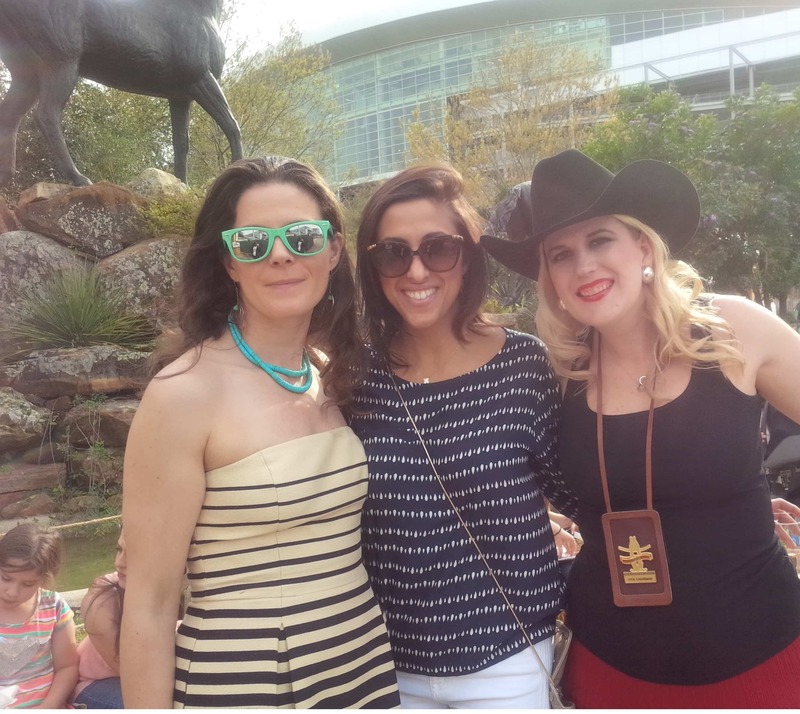 Each year, there is much anticipation over the Houston Rodeo lineup! Many years ago, Elvis played at the Show. In 2016, I enjoyed seeing Pit Bull. I also like the country music acts – Brad Paisley always puts on a great show. Other Houston Rodeo past performers include Keith Urban, Tracey Byrd, Miranda Lambert, Reba McEntire, and George Strait. In 2018, Garth Brooks will be the first to perform on the new revolving stage. The HSLR Carnival can keep you entertained for hours. In 2018, they will have 79 rides and 57 games. There is something for all ages, whether you are a thrill-seeker or not. Everybody loves a Ferris Wheel, bumper cars, and swings. For those looking for something a little more intense, you could try the OMG, Insanity, and the Zipper. 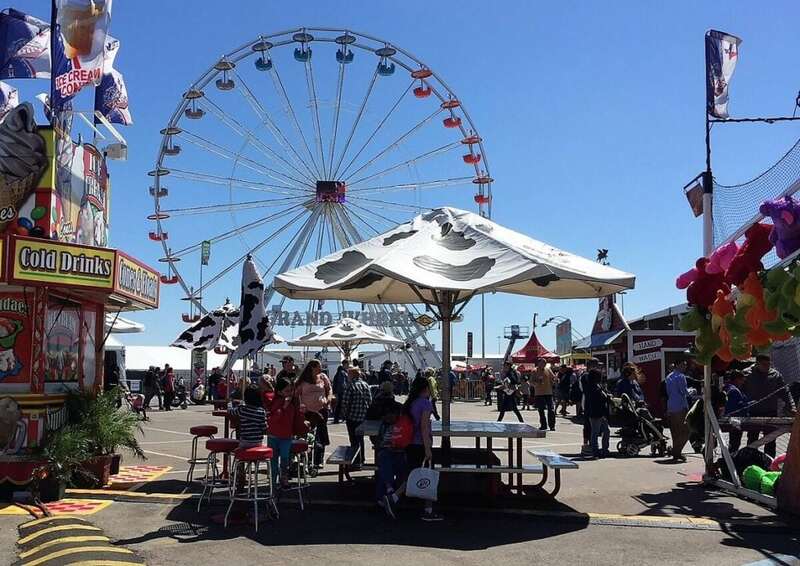 The Houston Rodeo Carnival also has plenty of your favorite fair foods like turkey legs, corn dogs, funnel cakes and cotton candy. The Houston Rodeo Carnival is fun for all ages. Admission to the carnival is included in with your Houston Rodeo Ticket, but rides are extra. You can buy a FastPass for $25. It includes access to all the rides and you get to use the fast pass lane. You have to buy it on site the day you are going to use it. Only a limited amount of Fast Passes are available each day. The rider must have FastPass and be wearing the FastPass wristband. You can also purchase Houston Rodeo carnival tickets for the rides and games at the event for 50 cents each. Most rides cost four to 20 tickets. You can get half priced carnival tickets for the Houston Rodeo if you buy them in advance of the rodeo. The half price Houston Rodeo carnival pack are only available for a limited time and are only good for that year. As I mentioned earlier, I am a volunteer on the Wine Competition Committee. In November, we have a Wine Competition (this past November, we had 2,499 entries). Many of these wines are then served in the Rodeo Wine Garden during the Show, and it is a great place to relax and enjoy the (usually wonderful) March weather in Texas. I have fun catching up with friends and having a glass or two of wine. Also, they often have live music. You may not think that wine fits in with HLSR’s mission but viticulture is a part of agriculture, so it fits in well. 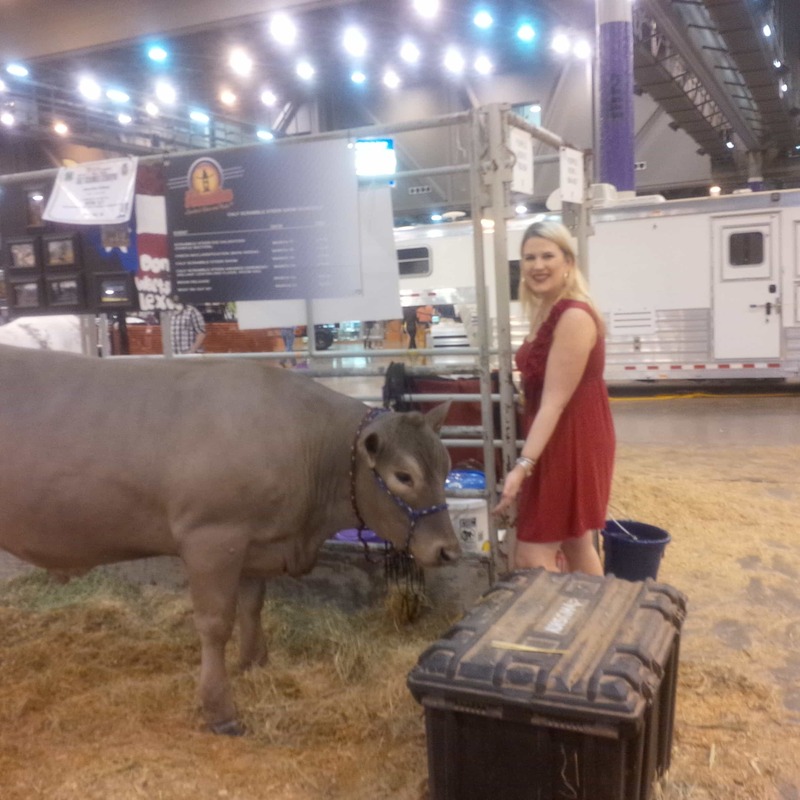 There is so much to see and to do at the Houston Livestock Show and Rodeo – I have barely touched on it. It is such a great organization and truly impacts the lives of so many youth in Texas. HLSR is committed to providing close to $13 million in scholarships in 2016. 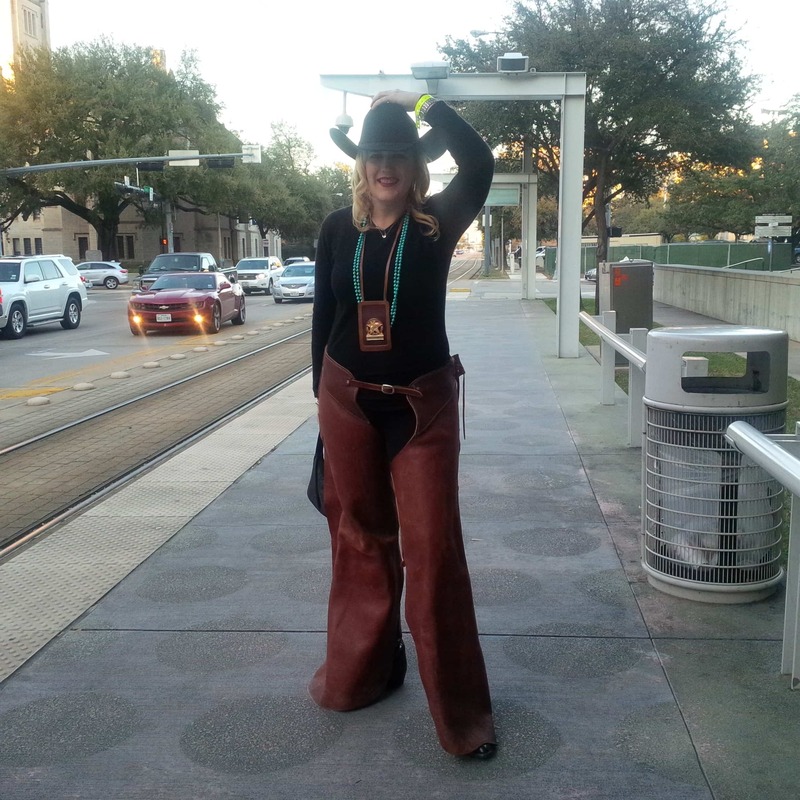 I am so lucky to be a part of the organization and have enjoyed my time volunteering on the HLSR committees. If ever you can plan a trip to Houston during the Show, I think you would have a great time getting to see and be a part of this spectacular event! 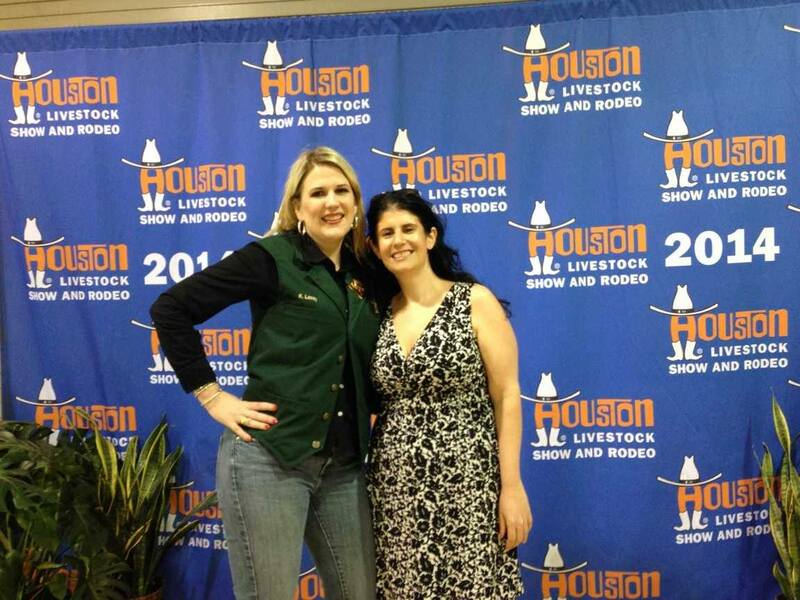 Have you ever been to the Houston Livestock Show and Rodeo? I would love to hear about your experience. You can purchase tickets to gain entry to the grounds (including the Rodeo Wine Garden, horse arena, carnival, and livestock exhibition halls) on site on the day you are going. However, you will need to purchase tickets to the popular entertainment acts in advance as these often sell out. While a ticket for a field level (very good) seat may only cost $25, HLSR season ticket holders have purchased most of these. If you want to buy tickets in the secondary market, you should be aware that HLSR has a policy prohibiting resale of tickets for more than face value. You can park onsite for a fee, but I think the light rail is often the most convenient option to get to the Show. If you are staying in the Med Center or Downtown, it is definitely the way to go – the Reliant entrance will get you right to the Show. I got to attend the BBQ event one year when I was in Houston for a conference. But wine, you say? Hmmmmm…….. Very nice Lynn! Yep as we mentioned wine aligns with the mission perfectly. I love a rodeo, or state fair, or anything to do with being so homey. You look great in chaps, too! Howdy! This blog post could not be written much better! Looking through this article reminds me of my previous roommate! He continually kept talking about this. I’ll send this information to him. Pretty sure he’s going to have a good read. Thank you for sharing! Thank you for the nice comments, glad you enjoyed the post.